We continued our series, 5 Lies That We Believe, yesterday at Cross Point by looking at the lies that we believe about prayer. Through my years as a small group member/leader/Pastor, I have found that prayer is one of the trickiest parts of group meetings. The prayer time at the end of the meeting can be uncomfortable, rushed, long, or absent. If given enough time and creativity, it can also be rewarding. I had a guy tell me after our first meeting one semester that he loved group, but he would never pray out loud during the prayer time. I assured him that it was ok, and that I would never force anyone to do anything that they did not feel comfortable doing. About a month into the semester, he pulled me to the side before group and asked if he could take on a request that night. He had been thinking about it all week and he was ready. I watched him take a HUGE spiritual step for him that most of us don’t even think about. 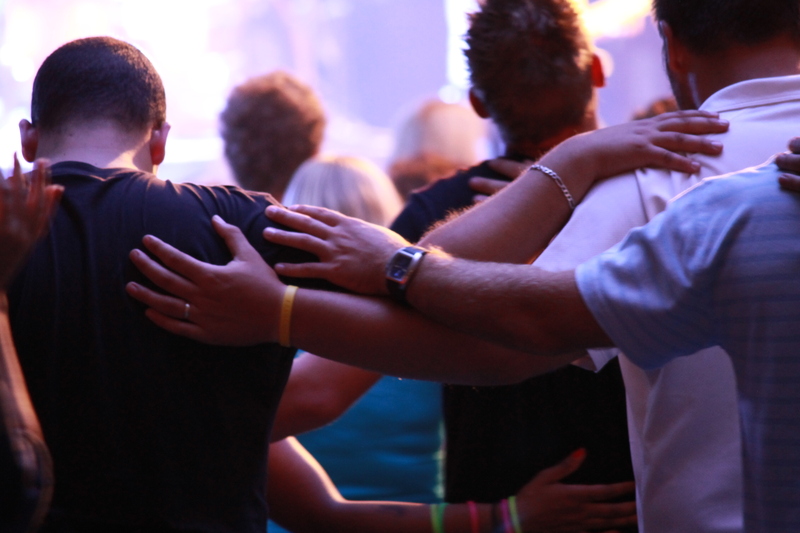 Is praying out loud spiritual growth? For him it was. I would encourage all group leaders to not treat prayer time at group as something you have to get through so everyone can get dessert. Change it up. Get creative. And as always, prayer for the group should not stop that night, but continue through the week. The first few meetings, the leader prays for all of the requests at the end of group. If there are a lot of requests, have a general prayer and email the requests out to the group. Divide up the requests with an apprentice or co-leader. After the group is more comfortable, have the group members choose a request that they will pray for. Write down the requests on separate cards and have the group break off into smaller groups to pray. Keep a journal of the requests so group members can follow up during the week and at the next meeting. Break up the prayer time through the meeting to focus on what you are talking about that night. Focus the requests that night on immediate needs within the group.